RARE ONE OWNER HOME PURCHASED IN 1966!! Near Preston Hwy, expressway, Jefferson Mall, restaurants and several schools. 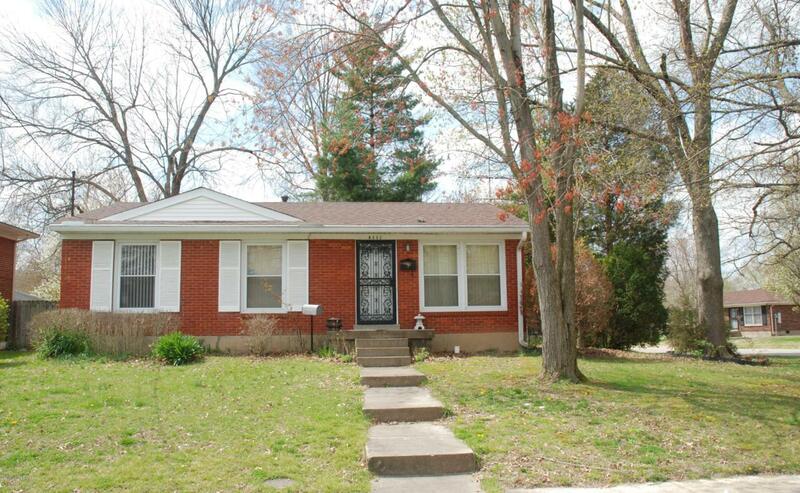 Located in the heart of Okolona on a nice size corner lot. Large impressive detached 2 1/2 car garage with ample driveway for excess parking. Originally was a 3 bedroom - wall was removed to create a large living room/dining area. Both bedrooms have original hardwood floors. Living room & hallway have pergo flooring over top of hardwood. Tilt out windows. Appliances stay including washer and dryer. Roof only 4 years old. Counter tops in kitchen have been replaced. One year home warranty with HSA for buyers peace of mind. Basement offers space for family room/rec room. (2) separate rooms could be (2) bedrooms (no proper egress windows) and a 1/2 bath.Home needs some cosmetics!